For anyone trying this in as of 26/05/2018 Nvidia have moved the privacy setting. Press Alt-Z scroll down to “Privacy control” and enable “Desktop Capture”. This guy was the first “youtube” celeb i heard of back when Wow was huge, around 2006 id guess. He was one the first people i followed over to youtube from his podcasts about Word of Warcraft. I remember when i got into World of Warcraft i used to listen to his “Blue Please” podcasts. He had a fantastic passion for talking about games with his “WTF is ” series. He was a great gamer consumer advocate. When a games company did something underhanded he called them out and i salute him for every thing he did. Below he chats with Etan and Hila from H3H3 Productions on youtube about cancer and its well worth a watch. This man’s attitude to the fight he had was remarkable. 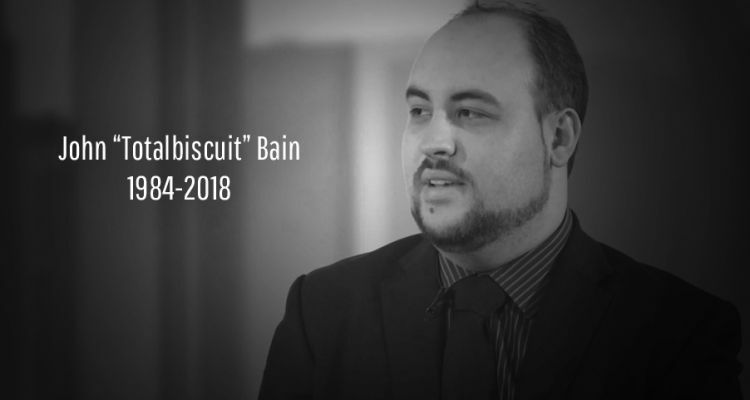 Many of you know the incredible TotalBiscuit aka John Bain. Many of you also know that he’s been publicly fighting cancer for the last 4 years and recently passed from that fight. John has had an incredible game’s media career that spans at least 13 years. During that time he’s covered countless games including World of Warcraft and Starcraft 2 and it would be pretty hard to make a full list of games he’s supported. He was a journalist, entertainer, critic, philanthropist, and general good dude. And he was one of the best. In this career there are no medical plans, no retirement funds, and no golden parachutes. The financial resources available are limited to the support of viewers and advertisers. John’s family Genna & Orion are faced with short and long term challenges around housing, living expenses, income security, medical care, and the special needs of Orion (their son). Please join me in supporting Genna and Orion in this very trying time to help take one burden off their shoulders. Note: I have personally talked to Genna. She knows and is very appreciative of anyone showing their support. Genna is the only person who can withdrawl from this gofundme. Note to streamers: If you’re looking to support the family, you can use this campaign if you want to raise money and have it go directly to them. Since the new update came out yesterday my sound card and bluetooth and headset wouldnt work. Even worse than i was getting the “BSOD” Blue screen of death every time i turned on and off the headset. After a frustrating few hours i had given up and was about to reinstall Windows 10 again. Then i remembered my old post and problem with bluetooth with Battlefield 1 and low and beyhold it worked. This may work for you in my case i had old Bluetooth dongle from Motorola “BCM92035DGROM” and a Philips Bluetooth headset “SHB3165”.